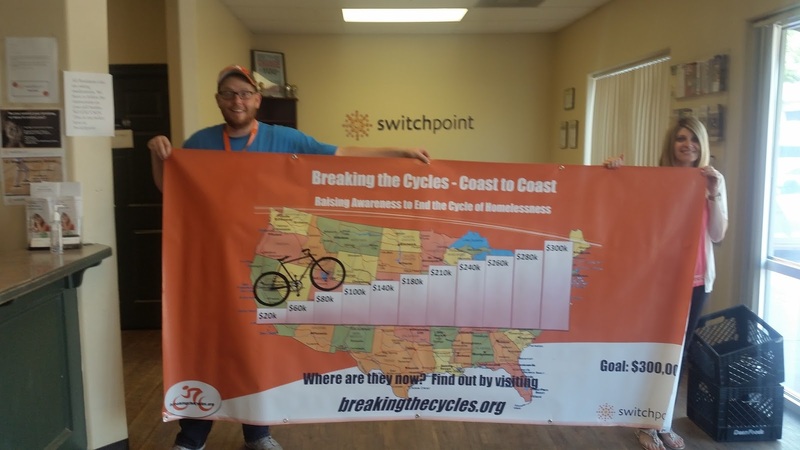 Breaking The Cycles: Our banner came in! We are ready to raise some money! This is our banner for the Smith's parking lot and will be on display until we reach Washington DC. Things are coming together. I have an amazing team. Thanks to Julie and Kristen and Sonjia at Switchpoint for all of their help. That's a cool looking banner! are the extreme team! Courage, loving everyone, helping so many.